There were 5 fab entries last week so go and check those out if you haven't already! This week has been tiring as the bloke was away most of the weekend at another festival, but Dylan and I had a lot of fun on our own! If you have smiled this week, no matter what else has been going on then please link up. All you need to do is post 3 pictures that have made you smile this week and link up at the bottom. I received a lovely sample box of Organix Goodies through the post just as we had run out of snacks for the little dude. He has struggles with the mini crackers for some reasons but the gingerbread men and raisins have gone down a treat! 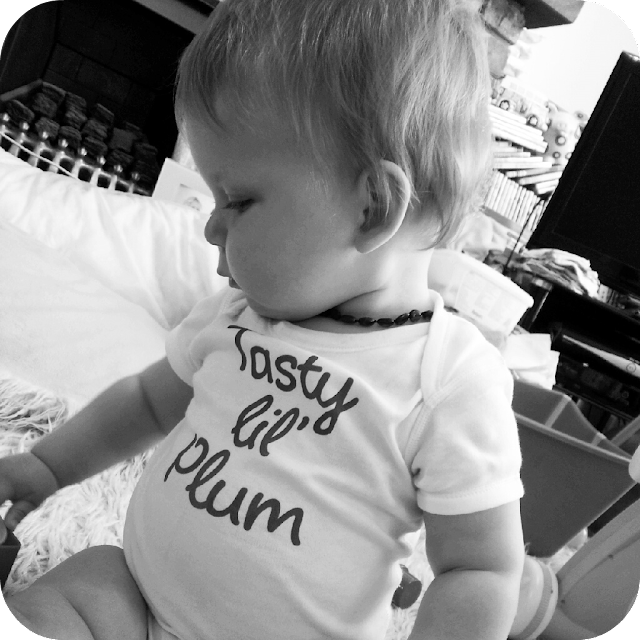 We threw a Plum baby party last week (post to follow) with seven mums and babies round for lunch. It was so lovely to have them all together, Dylan had a lot of fun playing with his friends. He also looked super cute in his Plum vest. Dylan has learnt a new trick and he shows it off at every opportunity - to people in the post office, as we go for a walk in the sling and during dinner time to name but a few. When I ask 'Where is your head?' his little hand reaches up and shows me, usually with a big proud smile on his face. It is amazing how the smallest things can be the biggest and I am so proud of him for learning something new. We had one of those boxes too. Baby man loved the cheese and herb puffs. 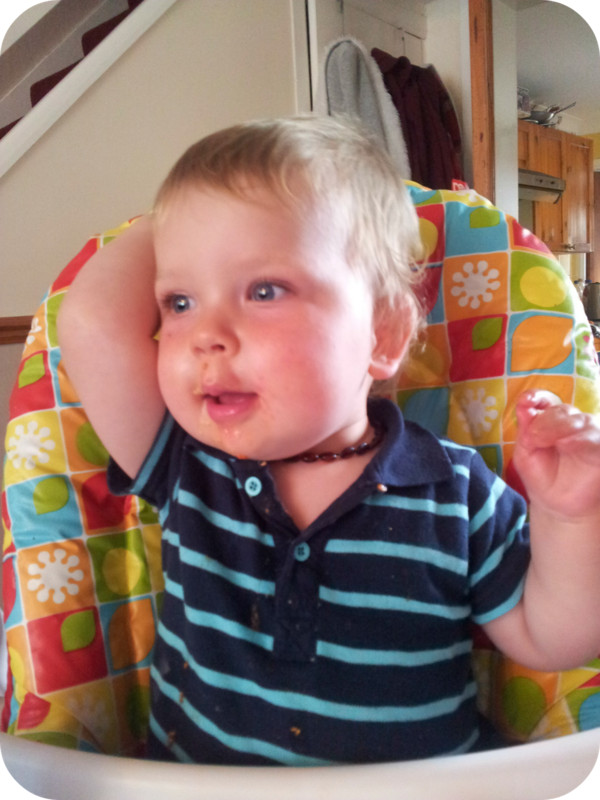 I remember when Oli used to eat Organix and ate the carrot puffs, he used to make such a mess! His face was surrounded in carrot puff crumbs! 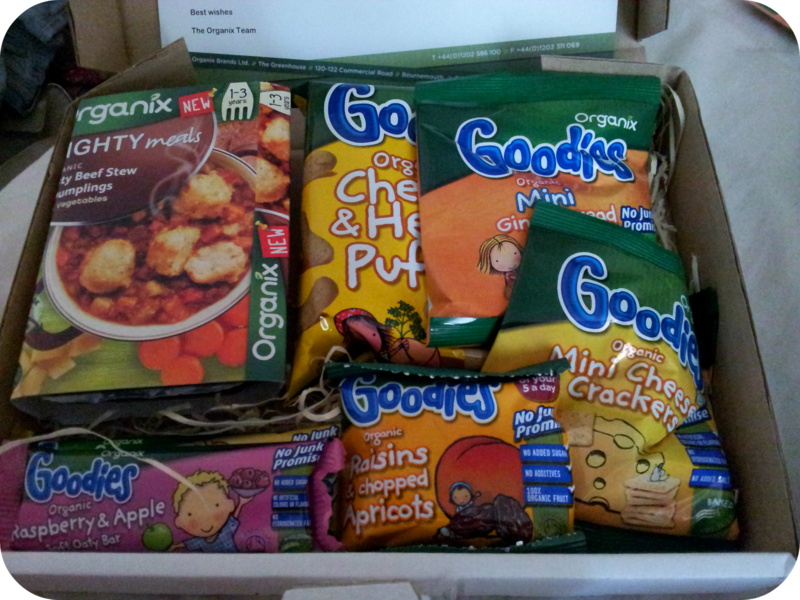 Ooo we had the Organix box too and the kids loved it! Loving Dylans t-shirt/vest in that second photo!